In this edition of 5 Questions For, Dean Edwards, Communications Specialist, interviews Edgar Gomez and Kyshima Pearson, Advisory interns in our New York City office from Year Up, a not-for-profit organization that provides young adults ages 17 – 24 from diverse backgrounds an opportunity to gain firsthand experience in the corporate sector. Year Up’s program is divided into two components: five months in the classroom, followed by a corporate internship. 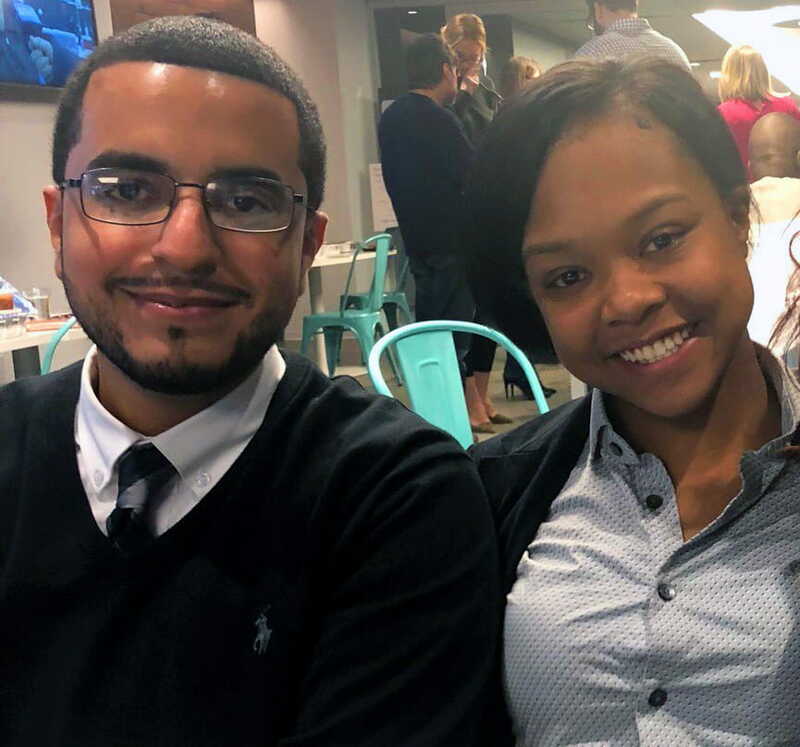 Ky and Ed are completing their internship with CohnReznick in August 2018. How did you get involved with Year Up? Ed: When I was pursuing my Associate’s Degree in IT, I was working as a peer mentor and helped to create workshops to teach IT skills. My passion for education led to afterschool tutoring at Mott Charter School in the Bronx, where I live, and I became a Pre-K teacher. I felt that I owed it to myself to pursue something different. I heard from a friend about Year Up and joined. I enjoyed data analysis when I was studying for my Associate’s Degree so I’ve pursued Financial Operations. Ky: I come from East New York and studied dance for four years at Talent Unlimited, and I interned at the Martha Graham Dance Company. I went on to study liberal arts at Kingsborough College, majoring in psychology, but stopped so I could focus on work. I was working in day care for children, which I enjoy. Early childhood education is a passion of mine. My sister’s employer partnered with Year Up, and she told me to consider trying their program. I chose to pursue IT because not a lot of women work in the field. I took it up as a challenge, and IT has broad applications, too, from the corporate sector to the classroom. How has your experience been at CohnReznick? Ky: It was scary at first entering a new experience, but with our early roundtables we met so many friendly people. I learn something new every day. It drives you to keep learning more. We work a lot in the Innovation Lab and IT and office services, conduct research, and help enter client data into CXP (client management software tool). The skills we’re learning help build an analytical mind, which is important. I really enjoy our Digital Innovation team meetings every Monday morning. Ed: Coming to CohnReznick was the experience I needed, a necessary learning curve. It’s also a foot in the door for corporate experience. Everyone here has been very kind, and I’ve learned so much. I was introduced to CXP here, which is a stark contrast to what you can learn in the classroom. We apply knowledge practically here. We work with Private Equity reports every month, help build template decks, and import business prospects into CXP. Have you learned anything at CohnReznick that you can take with you? Ky: I’ve learned about how important collaboration is, and that the simplest tasks can have the biggest impact. For example, we worked on updating Marketing slide decks, which involved a lot of very busy people. We always get feedback, even if it’s an appreciative “thank you.” That kind of recognition is important. Ed: There’s always something new to learn at CohnReznick. Ky: I’m hoping to find full-time employment in IT and focus on the data analytic side of business. I’m also keeping my options open. I’d love to eventually incorporate my passion for early childhood education at some point, too. Ed: I want to push forward with my education and pursue a Bachelor’s degree in Finance, to close the gap between my IT and Finance interests. Data visualization is an important and growing field. I’m aiming for a Master’s degree in Data Science to build on my strengths. It’s a competitive environment, so I need the motivation and edge over others. I also want to be able to give back the knowledge I’ve gained to others. Can you share your proudest moments? Ky: My proudest moment is really becoming independent and resilient. I’m a very social person, and a lot of people come to me for advice. I may not have the answers, but people respect my attitude toward life. Ed: I have to agree. Resiliency is important to me; being able to get back up, not stagnate or conform. Bonus: What are your hidden passions? Ky: People at home know I love to dance. It surprises people to learn how many different styles of dancing I know! I also love swimming and volleyball. I love staying active. Ed: My hidden love is tennis. I watch a lot of tournaments and used to play a lot.